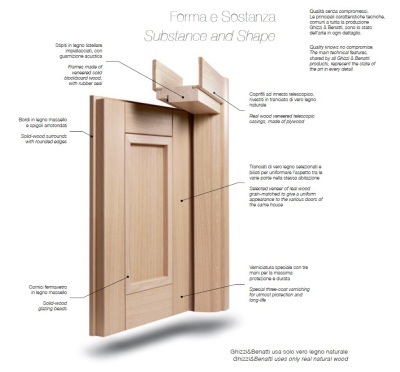 Ghizzi&Benatti doors are designed to be beautiful both inside and out and have been built with artisan passion for more than 25 years. The solidity of the wood, modern technology and our experiences that offer the most precious thing of all: the satisfaction of our customers. Ghizzi&Benatti uses only real natural wood.